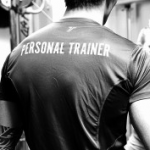 At the back end of 2014, I decided to take the plunge and make the step towards becoming a fully qualified Personal Trainer. With the expert guidance and support of Jon at Storm, I was able to make this happen. Since I gained my Level 2 and 3 qualifications, I have gone on to successfully run my own business where I have gathered and retained a client base with regular hours each week. Making the transition to being self-employed has been challenging at times, but one I am fully grateful to have made. I now have the privilege of doing something that I love for a job and I am deeply passionate about it. It feels great to know you are helping people to become fitter and healthier individuals. Do I miss my previous line of work? I can definitely say I do not miss my old 9-5 office job!